This year I am struggling a bit with it, for it is also my Birthday and my oldest son Clayton is turning 12 two days after my birthday. He is almost a teen!! So, I am feeling a bit older than normal around here. Have any of you ladies out there experienced something like this? UGH! Any ways........ Enough about that, let's move on to the "GOOD STUFF"
and then Noah and Marshall helped decide what buttons went on first. 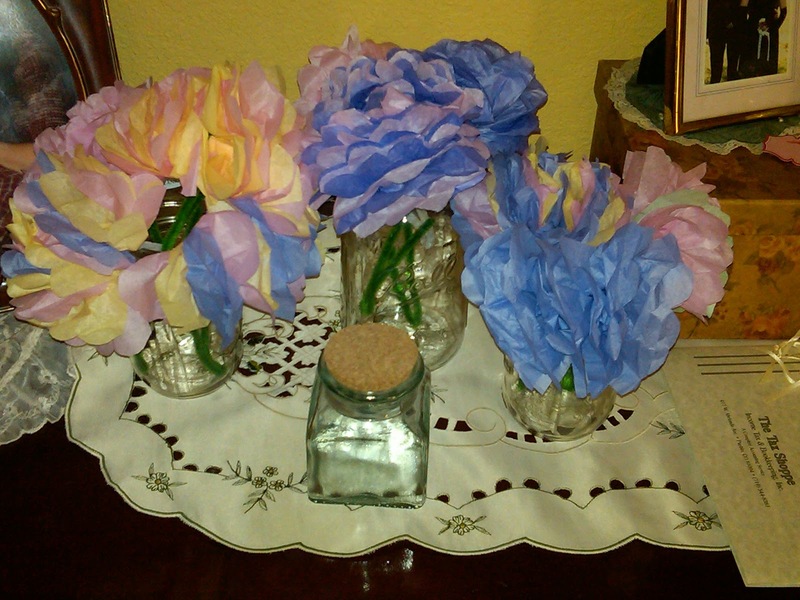 Also, we made a bouquet of Tissue Paper Flowers, those were a lot of fun once we got the hang of making them. I remembered making these for my mom when I was a lot younger. 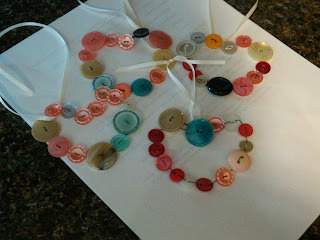 did making these fun little Valentine's Day keepsakes! I love your crafts Amy. They are wonderful... I'll bet the boys really enjoyed making them, even though they are "girly", but didn't want to admit it. Tell them from me I thought they did a wonderful job. I love the flowers, and have been making coffee filter flowers... these remind me of them. Happy Birthday to you... I have a present for you, and was hoping we could get out there by/before your birthday to give it to you, but are having van trouble, and don't have an appointment to fix it until Monday... so we will see what we come up with around here; but just so you know, I am hoping to see you very soon and give it to you. Incase I don't see you by tomorrow, Happy Birthday to you and Clay.